Why do I need a Bathroom Exhaust Fan? You walk into your bathroom and there it is looking at you – it is the exhaust fan wall switch. Do you turn it on or not? Then you ask yourself, “Why do I need a Bathroom Exhaust Fan”? 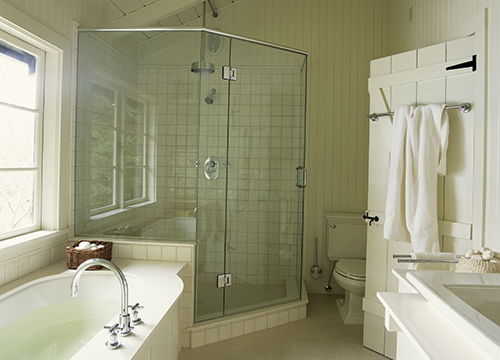 Bathroom exhaust fans provide a vital function to ensure the indoor air quality of your home. Their main functions are to remove moisture and odors from the room. Mold and mildew love moist environments, so by using an exhaust fan you can greatly decrease the conditions that promote their growth. So if exhaust fans are so good, why doesn’t everyone have and use one? There are two main answers. The first is that not all that long ago, exhaust fans were not required by the building codes. Codes were written that if you had a window anywhere in your bathroom, you were not required to have an exhaust fan. The theory being that you could provide all the ventilation by opening a window. While that might sound good in theory, when it is February in any northern state, I am not sure how much you want to be opening windows? The building codes across the country have come a long way and now require an exhaust fan in all bathrooms, kitchens and anywhere pollutants are entering the living environment. The second answer is the sound level. Older exhaust fans were loud and not very efficient. Technology has come a long way and now there are energy efficient fans on the market that you can’t even hear running. To learn more about Air King’s bathroom exhaust fans, visit www.airkinglimited.com. What is a 3-prong cord? The simple explanation is that it is a standard cord that includes a grounding wire. The grounding prong is an added safety feature that protects you in the case of a malfunction within the appliance being used. You will see them used on many products but especially on products constructed with metal. The grounding prong protects you in the case where one of the wires inside the product may come loose and come into contact with any of the metal. This will cause the electric current to flow through that metal. If you then touch any of the metal, you will get an electric shock that could be fatal. The grounding prong prevents this by sending the extra flow of electricity directly to ground. The circuit detects a surge of power and “trips” the circuit, stopping the flow of electricity to the unit. If you have ever had a product that trips the circuit every time you plug it in, it might be because there is a problem with the wiring of the product. Some people will simply cut off the prong or use a cheater plug. While the unit will continue to work, you have now disabled an important safety feature of the unit. It may be able to operate for years that way, but is it really worth the risk to your home and family? Three prong grounded cords are typically required in all commercial settings such as schools, offices, hospitals and so forth. 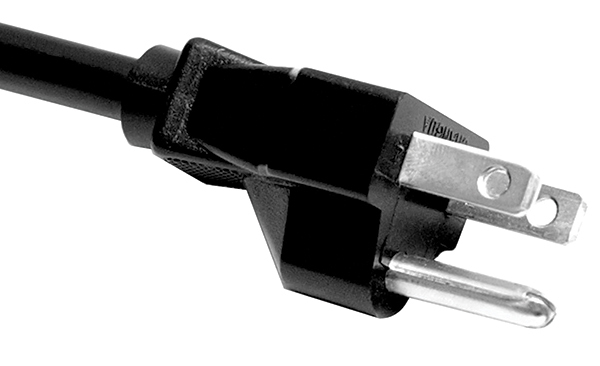 All of Air King’s commercial and industrial products include three prong grounded cords. To learn more about Air King’s commercial and industrial fans, visit www.airkinglimited.com.